Cloud Foundry Ambassadors are individuals who are passionate about Cloud Foundry. They influence and advocate Cloud Foundry. The Cloud Foundry Ambassador program aspires to empower community members to promote cloud native and application-centric projects and technology, educate the community on the Cloud Foundry technology, and contribute to core projects. Meet the 2018 Ambassadors below! As Executive Director of Application Platform Acceleration at Comcast, Greg is helping transform the product delivery experience. A 20+ year veteran with roots as a programmer, he is passionate about improving the lives of Comcast development teams. He has been a driving force for cloud, after initiating the program in 2007, and has focused a lot of his time partnering with the Cloud Foundry ecosystem of partners and community members since 2014. Greg and team have delivered a robust application platform and services built on top of Cloud Foundry, across hybrid cloud environments that enables critical application refactoring efforts and fast adoption across the enterprise. Xiujiao Gao earned her Ph.D. in Computer Science and Engineering at the State University of New York at Buffalo (UB). She currently works as a Client Lead & Cloud Engineer at Stark & Wayne. She has been helping numerous clients with their Platform ("PaaS") Operations, CF and Related BOSH Deployments, Automation using Concourse, Monitoring, Backup/Restore and Application Migrations. She makes sure that the projects and processes stay on track and delivers valuable outcomes to clients. She also writes both technical blogs and personal blogs. She would like to write technique blogs/articles, speak at conferences/meetups, answer questions at events/community. I lead the team at Pivotal that has added third party ISV partnerships to the Cloud Foundry ecosystem. I am available for speaking engagements at industry conferences, meetups, and webinars. Rachael Wonnacott is a PaaS Engineer at global investment management services provider, Fidelity International. Since 2016 she has been operating and extending many Cloud Foundry instances used in production around the world. During this time she has championed automation and the adoption of Open-source software, both across the company and the wider community. Prior to working with Cloud Foundry Rachael carried out research in Laser Driven Fusion and holds a Master of Physics, in Physics and Astrophysics. If not at a computer you are most likely to find her at the local CrossFit box, or talking about it. Interested in speaking and writing engagements. Techie by trade & evangelist by choice. Got my head in the cloud, yet keep my feet on the ground. World traveler and aspiring global citizen. Father of four and part-time triathlete. Constantly balancing family, work and sports - in that order. I am available for speaking opportunities (including keynote talks), collaborate on organizing meetups, and writing blog posts. Dieu Cao is Director of Product Management at Pivotal, where she works on the product strategy for Pivotal Application Service. She is also currently serving as the Cloud Foundry Foundation PMC Council Chair and Application Runtime PMC Lead, helping to coordinate and provide oversight to the projects within the Application Runtime PMC. She has been with Pivotal since 2010 and a core contributor to Cloud Foundry since 2014. I am available for speaking opportunities at industry conferences and meetups. I am the organizer of London PaaS User Group (LOPUG). I enjoy helping companies to drive innovation and transformation as they move towards a cloud native approach. After working in the IT industry for more than 17 years I'm passionate about community, diversity and inclusion, and connecting with people. I am available for speaking opportunities. I have spoken at Cloud Foundry Summits, Spring One Platform, Qcon, Velocity, DevOpsDays, meetups, etc. I am most passionate about helping people and organizations change their processes and tools to be more productive and more effective by building empathy and inclusive practices. With 15 years of experience building and running operations and development-focused teams, I’ve seen many of the top challenges and solved a few of them. Currently I focus on Cloud Foundry and Kubernetes. I’m available to speak worldwide, and have spoken at Dell World, EMCworld, VMworld, Cloud Foundry Summit, RedisConf, various usergroups, and meetups. I am available for speaking opportunities at meetups. My job as a Technical Program Manager for Cloud Foundry means that I help influence many decisions across the community, especially with security. I am available for speaking opportunities at industry events and writing opportunities. I am currently a contributor to cf-docs. I am the creator of the cloudfoundry-community organization and am lead committer for dozens of community projects. I created the cloudfoundry-community github organization which now has over 200 members. I also maintain access to a shared AWS S3 account for community BOSH releases and other assets. Contact me if you're creating a new BOSH release for access! Steve is the Founder of Resilient Scale (https://rscale.io), a consultancy focused on building capabilities through collaboration, training and mentoring. He is a long time application developer and architect and a proponent of Spring & Cloud Foundry. Steve has been working with Cloud Foundry since 2012 and built (and donated to the community) the Spring Cloud Service Broker, and is available for speaking opportunities at industry events, meetups, and writing engagements. He lives in Montana and spends his free time skiing, mountain biking, fly fishing and making things in his workshop. I am available for speaking opportunities at industry events, meetups, etc. Anouska Streets has over 20 years of software engineering experience across multiple sectors. She’s highly experienced and has worked directly with a broad range of technologies and platforms. She’s managed the transformation of software development organisations as the industry has transitioned into cloud-native based delivery. This includes the adoption of DevOps practices and importantly driving the cultural changes and behaviours to make it a success. She is currently working at Fiserv leading the engineering team that builds and operates our FinKit platform. Eric has worked on open-source Cloud Foundry at Pivotal Software since 2013 and is currently the Product Manager for the CF Diego team and the Application Runtime PMC Lead. Before joining Pivotal, he worked as a research mathematician and lecturer, and holds a Ph.D. in Mathematics from Stanford University. He lives in the San Francisco Bay Area with his wife and dog. Dustin has extensive experience in Cloud Foundry ecosystem. He has managed teams developing enterprise and web scale applications for the platform. He also led the application platforms team at The Home Depot, which operated a large distribution of Cloud Foundry while servicing thousands of software engineers across the organization. Dustin is also a certified Cloud Foundry Developer. He has written and deployed applications on the open source runtime as well as multiple provider installations. He is available for speaking opportunities at industry events, meetups, etc as well as writing opportunities. I am currently available for speaking opportunities at industry events, meetups, etc. I am also available for writing opportunities. Matthias Haeussler is a Managing Consultant at NovaTec Consulting and the organizer of the Stuttgart Cloud Foundry Meetup. He advises clients on Cloud strategies and supports implementations and migrations. Besides that he teaches Cloud Native Development at universities. Prior to NovaTec he was employed at IBM R&D Germany for 15 years. He has experience speaking at conferences like IBM InterConnect/Think, Cloud Foundry Summit, and KubeCon. I am a Product Manager at Pivotal responsible for Cloud Foundry Networking. I'm responsible for prioritizing and delivering networking and policy capabilities for Cloud Foundry. I have worn several hats through my career including software engineer, technical marketing engineer and product manager. I'm available for writing and speaking opportunities, including meet-ups and conferences. Nimesh Bhatia is program director in IBM’s Open Technology Group, where he leads a team that contributes to strategic open source projects such as Cloud Foundry, Kubernetes, Docker and Blockchain. He has authored over 10 patents and many IBM internal and external publications. He enjoys talking to developer community and solve customer problems. I am available for hosting meetups, speaking at meetups and writing opportunities. Created what is now called the CGI Cloud Native Solutions practice while at ECS Team in 2014. The team has successfully delivered 60+ projects to implement and operationalize Pivotal and open source CF platforms and has developed expertise in cloud native application transformation and greenfield application development. Now expanding to leverage CGI's global reach in North America, EMEA and beyond. I am available for speaking opportunities including conferences, meetups, or digital government days. I am available for writing opportunities. I am the PM of Garden and App Autoscaler, I am available for writing opportunities, speaking opportunities including conferences, meetups, etc. General Cloud Foundry, BOSH, and Concourse. I have working on Cloud Foundry since 2013. I contribute to the community and helped develop the Cloud Foundry Certified Developer course. I am available for speaking opportunities across the world including conferences, meetups, etc. I am interested in writing blog posts extolling the virtues of Cloud Foundry. Denise works as a software engineer at Pivotal Cloud Foundry as part of the BOSH core team in Toronto. Before that, she worked on RabbitMQ for PCF and the Cloud Foundry Services API; she also did a brief stint as the product manager of the On-Demand Service Broker. Before pivoting into tech, she received her MSc in Social Policy from the London School of Economics and a BA in Economics and Philosophy from Columbia University. Denise regularly delivers talks on topics ranging from continuous delivery to functional programming to scaling company culture at various conferences across Europe and North America. You probably have seen one of her doodles about Cloud Foundry featuring cats and dinosaurs at some point. I am an experienced Solutions architect with Pivotal based out of Singapore, ex DevOps engineer with Rakuten, Japan. I am hands-on with BOSH and Cloud Foundry platform for the last four years and have spoken at Cloud Foundry Summit, OpenStack summit, DevOps Days India, and a few meetups. I am available for speaking opportunities including conferences, meetups, or organize local meetups. I am a Cloud Foundry contributor and a long time supporting developer in CF, since it was open sourced in 2011. I also manage a team that includes several core CF project committers. I am available for speaking opportunities including conferences, meetups, etc. I am a contributor to Service Broker development. I am also the organizer of the Cloud Foundry Meetup Rhein-Main, Germany. I organize meetups for the DACH Cloud Foundry user group (https://www.meetup.com/de-DE/CloudFoundry-User-Group-DACH) and have been a Cloud Foundry enthusiast from the early days. I am available for speaking opportunities across the world including conferences, meetups, webinars. Dave is Head if Ecosystem Programs at Redis Labs. Previously, he was a Technical Program Manager at Intel for BigDL, a Deep Learning library for Apache Spark. He is the co-founder of CloudCamp and organizes many unconferences, workshops and hacakthons in the San Francisco Bay Area and beyond. With over 15 years of developer & Ecosystem marketing experience, Dave has helped companies like Intel, Redis Labs, PayPal, Strikeiron, Mode Media and Cloud.com create and run their own developer programs. Former Community manager with a history of hospitality and support roles. Loves technology and learning new things. I am interested to collaborate and organize meetups. Dormain is a Senior Director of Product and Customer Marketing with Pivotal. She has published extensively on cloud computing topics for over ten years, demystifying the changing requirements of the infrastructure software stack. She’s presented at the Gartner Application Architecture, Development, and Integration Summit; Open Source Summit; Cloud Foundry Summit, and numerous software user events. Dormain holds a B. A. in History from the University of California at Los Angeles. Stephan Massalt is Vice President Cloud at Swisscom Cloud Labs in Menlo Park CA. He received his bachelor’s degree in computer sciences in the Netherlands. With over 20 years of working experience in Telecommunications and ICT, he now is responsible for Swisscom’s Cloud innovation in Silicon Valley. He began his career working in data network engineering. After that he held positions in Sales and Management consultancy, General management, Product management and Business Development. He has been working for major Telecom providers, as well as in small startup companies. His current responsibilities are focusing on technology scouting, technology assessment and managing the partner ecosystem for Swisscom’s Cloud. He also holds several seats in customer advisory boards of partner companies, advising them on product strategy and development. Stephan is interested in speaking engagements on a broad set of topics from technologies, to business, etc. Colin is a Software Engineer at EngineerBetter where he works with Cloud Foundry, Concourse, and BOSH on a variety of projects. He has been working with Cloud Foundry since 2015, first as an application developer and now more in operations and system integration. Colin contributes to the community and helps maintain the Foundation's Zero to Hero and BOSH training courses. Colin also helped develop the Cloud Foundry Certified Developer course. He has spoken and delivered training courses at Cloud Foundry Summits. Prior to starting his career in technology, Colin traveled the world, living in eight cities in five countries. Tomasz is a Project Manager at Grape Up. 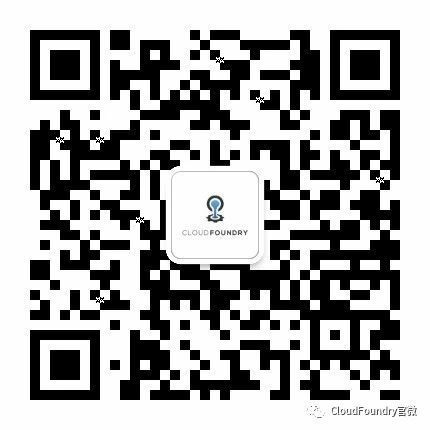 Currently he is focused on Cloud Native solutions and manages development of Cloudboostr platform (https://cloudboostr.com/). His favorite approach to build and develop product is Lean Startup. Tomasz has technical background - he was a Software Engineer back in the days and he specialized in C++ / C# development, mainly in complex architectural solutions. Shoot, there are no matches for your search.